Gerry and I visited Herrick's Cove in Bellows Falls, Vermont yesterday and "the setbacks" in Hinsdale, New Hampshire today. 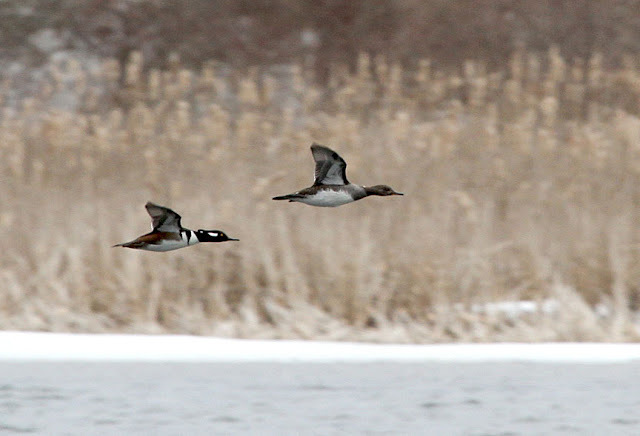 Both places are great spots for watching spring's migrating birds. The males can raise or lower their "hoods" - trying to impress his mate, no doubt! 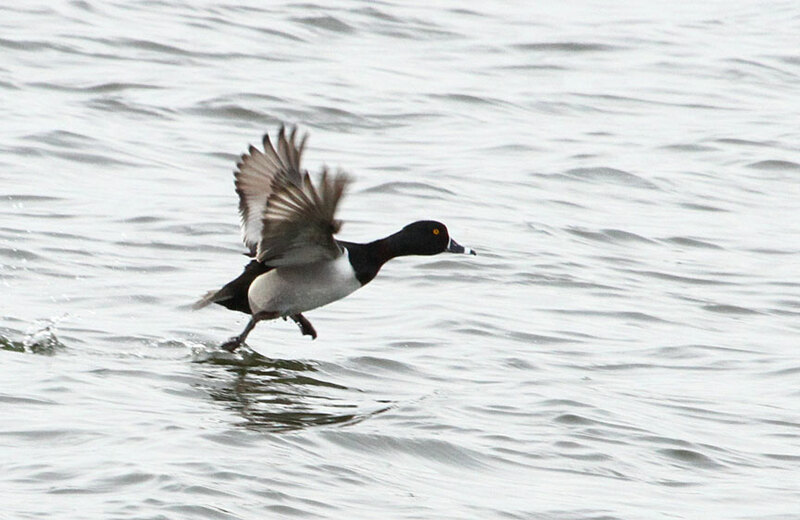 Hoodies are diving ducks with legs far back on their bodies which makes them look pretty low in the water. There is a ring around the neck, it's chestnut brown in color. 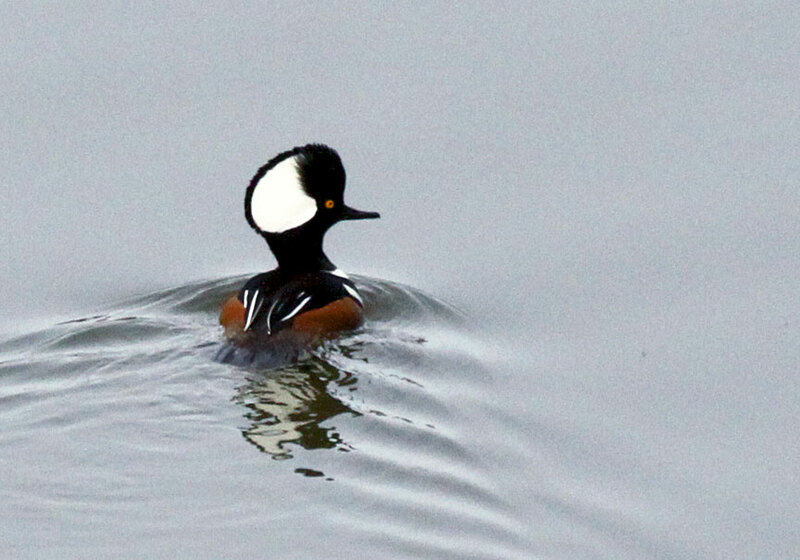 In the right light, when the duck extends his head and neck, you can sometimes notice it. 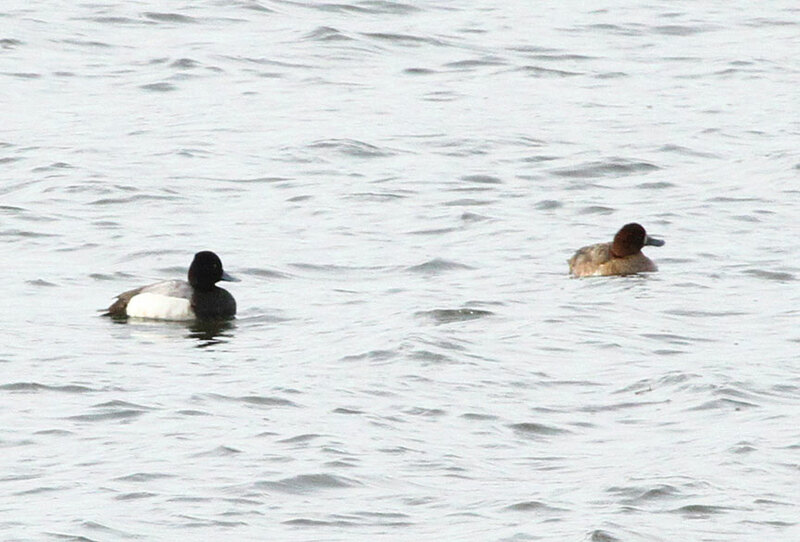 We find both Greater and Lesser Scaup on the CT River and telling them apart at a distance can be a challenge. 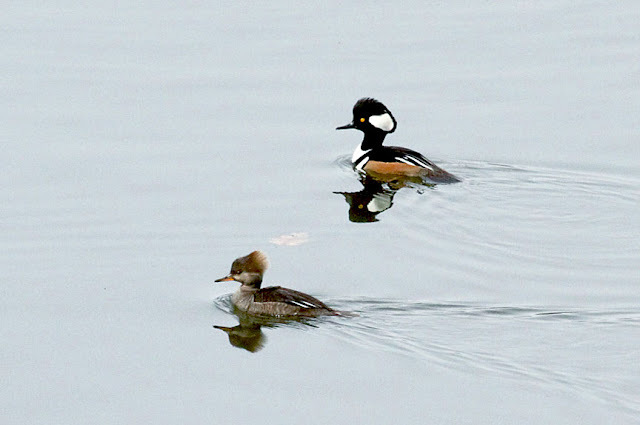 Head shape is the key with the Lesser having a peak at the back of his head. 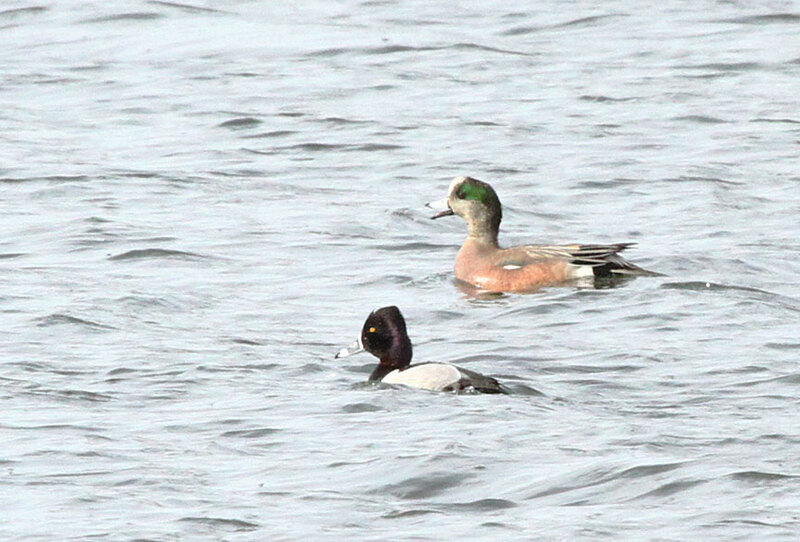 The Wigeon used to be call "Baldpate" because the white on his forehead looks like a bald man's head. 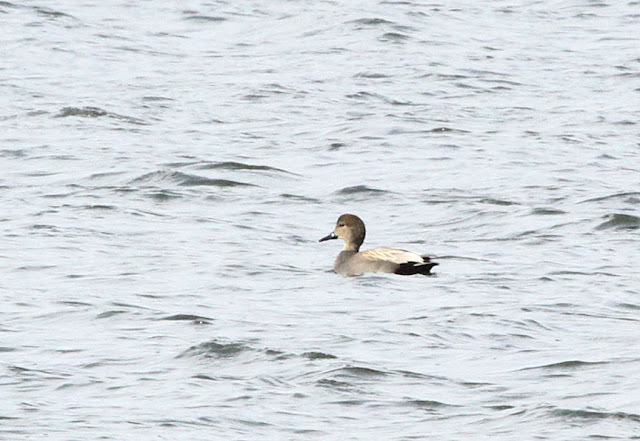 Here's a dabbling duck (wigeon) next to a diving duck (ring-necked). 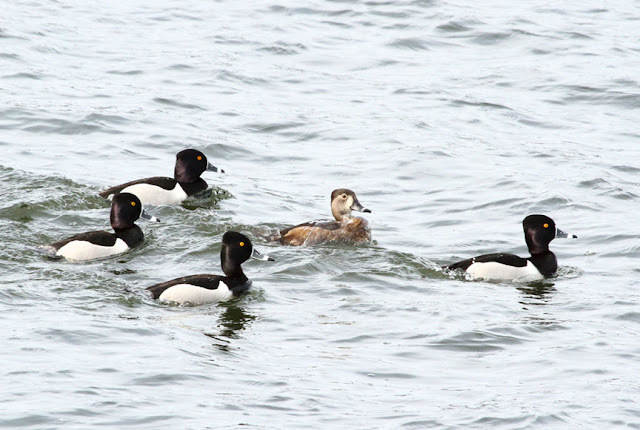 You can see how low the diving duck sits on the water compared to the dabbler. Not a very showing duck, this male Gadwall, a dabbler, has a black rump and dark bill.